Sarah Marshalls just got back from her absolutely fabulous vacation, happy, peaceful with not a care in the world. That is until she opened up her wardrobe which had been shut for the last 10 days while she was on vacation. What she discovered completely ruined her holiday effect. Her entire wardrobe collection bore moth holes! Where did they come from? How did the moths do so much damage? How would she replace her entire wardrobe? Oh yes moths may not harmful to humans but sure are a nuisance and cause a lot of damage especially when you have hardly used or new garments falling prey to their attack! Removal of moths is only possible if you are familiar with the various types as well as their behavior and habits. And mind you their species is too much to keep track off. Unless of course you're a trained professional. Each of our personnel at Protech Pest Control is certified to recognize the different types of moths, the life cycles, diet and dwelling areas. 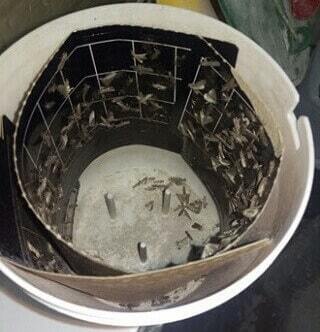 Through the use of eco-friendly treatment solutions, we rid your home of moths. Moths can be more damaging to have in your home than you imagined. While they vary in appearance a majority of moths you find in your office or home have a dull grey or brownish colour. The more exotic ones tend to hover around where there is greenery. They differ in terms of size too; some may be extremely small or about 2 cm, while some are large. Like us, moths have a favorite food too! That's right, we all have our staple food and then food that we absolutely cannot resist. For moths it is fabric. Although attracted to pantry food, moths absolutely love feeding on fabric. That is why, if you spot moths around, you can be sure some fabric in your home has been attacked. Now when it comes to fabrics too, moths do not consume synthetic fabrics but tend to favour feeding on wool, silk, fur, etc. You better watch out for all those expensive clothes and furnishings. All moths do not behave in the same way neither do they complete their life cycle the same way. Few of them actually bite you! And obviously you won't be expecting it! Compound eyes, long antennae, 4 wings that are covered with a double layer of scales and mouth parts that resemble tubes - that's what a typical moth looks like. Most of them complete their lifecycle causing minor damages. At best they tend to affect agricultural produce and clothes or furnishings. They may be attracted to light but they hide in dark places. So if you're conducting a search for them you should look in places that are dark like cupboards, corners, between the folds of clothes, under sinks, etc. It is important that you be on the lookout for them as it is not possible to spot signs of an infestation until too late. When it comes to moths remember two things, life cycles are shot and development happens rapidly. 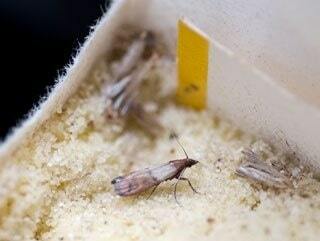 Their cycle can last anything from 30-90 days, with some moths the immature stage itself lasts for about 3 months. How long a moth will last in your home has a lot to do with the living conditions. Like every other pest, favourable conditions, will enable the moth to live their entire life span and even reproduce with ease. Dark rooms, relatively humid environments and a food source close-by are what it takes to make moths stick around longer. They lay eggs on open food and fabrics. Some species can lay up to 300 eggs in one life-time so you better beware lest you suddenly develop an infestation problem. Moths tend to get into your home through open doors and windows, cracks, or sometimes even on the clothes. Passing them off as harmless could be something you sure will regret. Moth holes aren't exactly the most pleasing thing to find on your clothes, carpets, curtains, sofas and other upholstery. You're better off taking precautions to ensure these pests are nowhere near your home. Store clothes, curtains and other fabrics in sealed plastic bags so that moths cannot access them or hide between the folds. Use porch lighting to the minimum so as to not attract moths. While storing clothes ensure the fabric is cleaned as prescribed so as to avoid any damage. Buy organic food and store food in air-tight containers. Did you know adult moths may not be the ones damaging food products in your home? It's actually the larvae that eat through practically every kind of food in your home. Sticky traps, pheromone traps or dusting powders, surface sprays can only target adult moths and aren't even safe to be used around food that you will consume. At the egg/larva or pupa stage it is practically impossible for you to find and destroy them. This is where we step in to ease off your troubles. Our treatments aren't just environment-friendly but also keep the health of you, your pets and loved ones in mind. 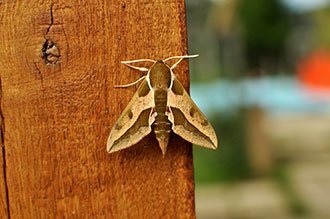 Every one of our professionals is certified to thoroughly inspect, recognize the said moth species and come up with a treatment plan that is as per Australia's specified standards and is also effective. Do they offer same day pest control service (normally)? Are they fully accredited and licensed to carry out pest & moth control services from the Victorian government? Is their moth removal technology up-to-date and environment-friendly? Finally, do they guarantee getting rid of the moths and ensuring they do not return?